Composition -50 % Cotton , 20 % Rayon , 30 % Chenile. Backed by rich industry experience and market understanding, we are involved in offering a wide array of Patchwork Rugs to our valued patrons. 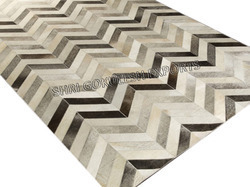 Banking on our enriched industry experience, we are able to supply PATCHWORK RUG. We are a top notch supplier of PATCHWORK RUG. We are engaged in offering PATCHWORK RUG. Our reputed entity is engaged in supplying PATCHWORK RUG. 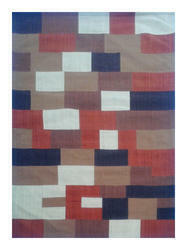 Patchwork Rugs that we offer are made with premium quality yarn that ensures their durability. Patchwork Rugs that we offer are properly stitched. We offer hand-made Patchwork Rugs that have a smooth feel and are easy to wash. This patchwork rug is made of high quality faux fur and it features an attractive pattern that traps moisture and dirt. Leather edge for added quality. The tufted construction has a rich look and feel, and extraordinary texture offers warms, comfort, and versatility.